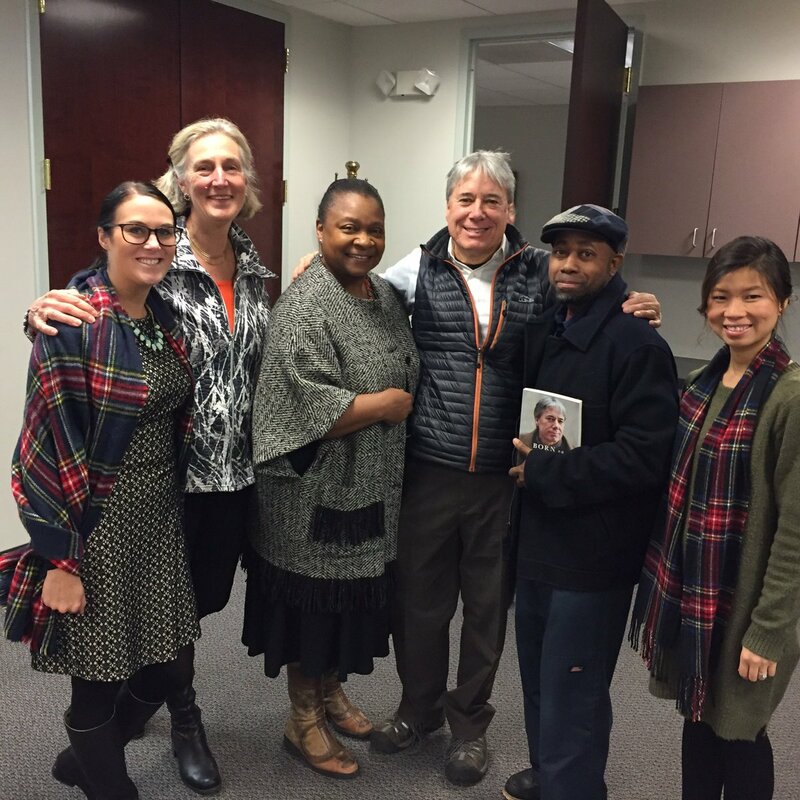 On Thursday, December 15, EMPath READS hosted a conversation about inequality with author Chuck Collins. In this open forum, Collins shared how he moved from the shelter of the Oscar Mayer family fortune to helping mobile home residents secure a permanent stake in their communities. He exchanged ideas with EMPath staff and stakeholders about how to bridge awareness of economic mobility with participation from both ends of the economic spectrum and closed with his vision for how wealth can compound for all levels of society with targeted local investments and a shift in consciousness regarding inheritances. EMPath READS is a new employee engagement activity organized by Marquis Walker, Community Based Facilities Coordinator. In addition to reading and sharing thoughts about important works, inwardly, as a team, EMPath READS gives EMPath an opportunity to extend our grasp outward–towards local, national, and international opinion leaders, thereby fostering deeper engagement between practitioners, academics, theorists, doers, and thinkers.